Platinum Plus studs have a radius shoulder design to work on all tracks. The full 1" head provides more track contact area to reduce pull-through, even on high horsepower machines. Platinum Plus stud heads sit flush with the track for free-turning operation without chatter. Military-grade stainless steel stud bodies undergo a two-step inert gas heat treatment for 30% increased abrasion resistance and 25% increased bend resistance. The exclusive taper profile provides maximum carbide insert protection. The Torx drive head helps resist stripping and strengthens the base area. Stud Length: 1.625". 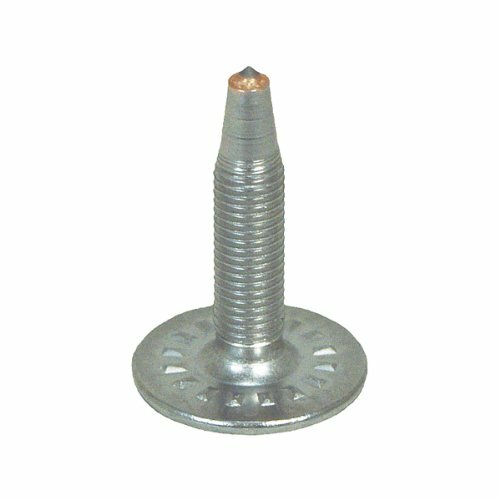 Head Diameter: 1.000". Inside Length: 1.820". Overall Length: 1.910".